It may be summertime but we’re still hearing about interesting happenings from the 2012-13 school year. 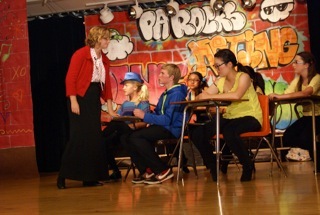 The photos you see here were sent to us from a parent volunteer at South Lake Middle School, which staged its production of “Fame Jr.” on June 5 and June 6. 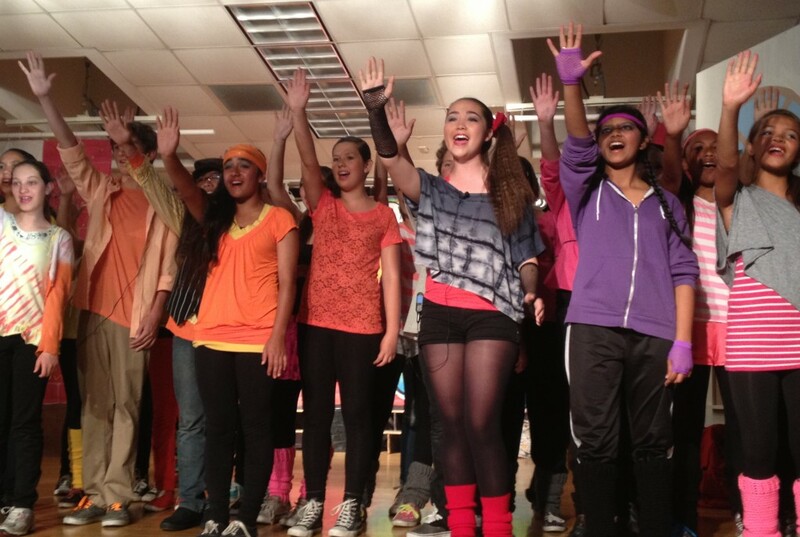 The middle school version of the musical “Fame” also follows students enrolled in a performing arts high school, only this time it’s in the neon-embracing ’80s. South Lake officials said this was the largest musical their school has ever produced, utilizing a cast and crew of about 70 students. Ingrid Green, an instructional assistant from Westpark Elementary – and one of this year’s Classified Employees of the Year – handled director duties for the show, which featured the vocal talents of South Lake’s choral students under music teacher Jason Grenier, as well as instrumental performances from string, wind and percussion players.